Custom Printed PVC Banners. Durable, Lightweight and great for every occasion. Grab people's attention with an eye catching full colour banner! 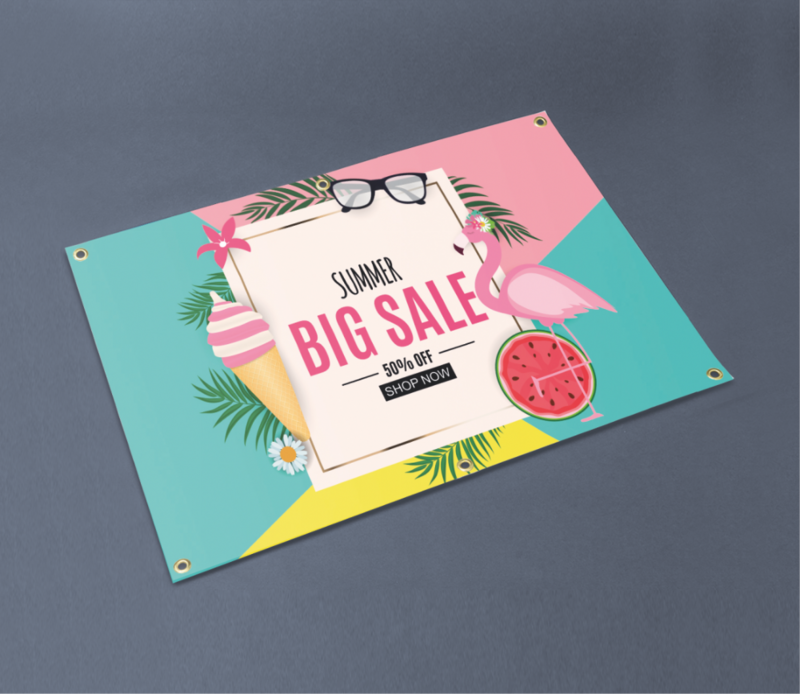 Whether you are a business or an individual, our custom printed PVC banners are perfect for advertising business events/ promotions, charity events and special occasions. We print all of our banners in full colour onto 440gsm event banner PVC, using CMYK eco solvent inks for long life. All banners are suitable for indoor and outdoor use, have a high degree of resistance to scratching, tearing and fading, and include hemming and eyelets in the corners and at every 500mm along the length. We can produce banners to any width from 300mm to 1300mm and any length up to 30m.